Food served Fri/Sat 7.30–10pm only. Restaurateurs across the globe are (probably) continuously asking themselves, how do I get my customers truly salivating? Martin Wishart has found the answer. Sit 20 or so guests in a modern, comfortable setting, facing a spotless stainless-steel kitchen with a large mirror across the ceiling. Serve excellent wines from a small list perfectly matched to a set four-course menu that changes monthly. Get your chosen chef to talk about rillettes of crab with pickled cucumber and bergamot as he assembles it, so their ears and eyes are feasting but they have to wait a little before you let them eat it. Get chef to cook another course, like braised rabbit ravioli with rocket pesto and parmesan velouté, so the aromas gently assault their nostrils. Invite them up to watch and ask questions as the chef sizzles the finest Merguez sausage with confit duck, tomatoes, beans and saucisson de Morteau so all their senses are buzzing, then reward them by serving them the resulting cassoulet. Tease and satisfy them again with a beautiful Armagnac parfait with praline tuile. Job done. From January 2014, classes at this extra-smart, modern cook school are made up of the Martin Wishart Masterclass, hosted by the man himself, Practical Cookery day classes, and the shorter Learn then Lunch. This is made up of a cookery demonstration followed by a three course lunch (plus canapés, amuse-bouches and petits four to finish). New classes are announced to the mailing list every three months, and a now booked using on a reserve and pay basis - be aware they book up very quickly. Did you know that we will be opening for evening dining at the newly renovated Cook School from Friday, 2nd November 2018? The Cook School & Dining Room will serve a four course seasonal tasting menu every Friday & Saturday evening. 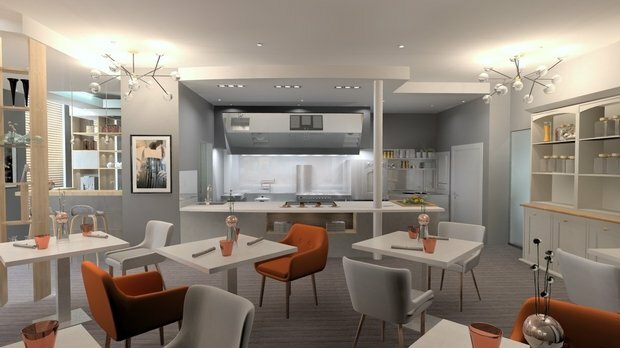 Guests will arrive at 7:30pm, they will then be seated within our new open plan Cook School Kitchen & Dining Room, where they can enjoy a drink from our bar and wine list, with dinner being served from 8:00pm. Please note this is a set menu, you will need to notify us of allergies and dietary requirements prior to the dates.